The Monreale Cathedral is well known all over the world for its stunning mosaics and charming architecture. 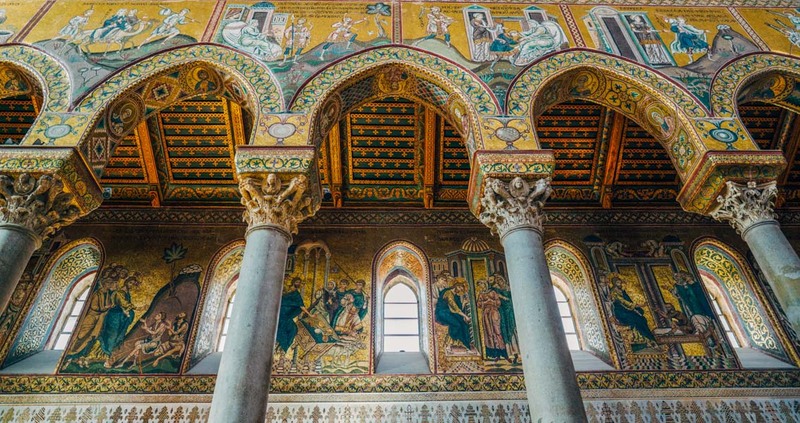 Considered the most important masterpiece of Sicily’s Norman period, the Monreale Cathedral is a magical place to visit, well known all over the world for its stunning mosaics and charming architecture. Commissioned by the Norman ruler of Sicily William II, the church was built between 1174 and 1185 with the intent of emphasising the splendour of his kingdom. Dedicated to the Virgin Mary, today, it displays an incredible fusion of eastern and western influences thanks to the Arabic and Byzantine craftsmen involved in building the cathedral. This amazing church has a beautiful facade characterised by two towers and a Neoclassical portico built with marble and tufa. It presents two stunning Romanesque bronze doors sculpted by Bonanno da Pisa who adorned them with 42 reliefs of biblical scenes framed by lots of decorative elements. 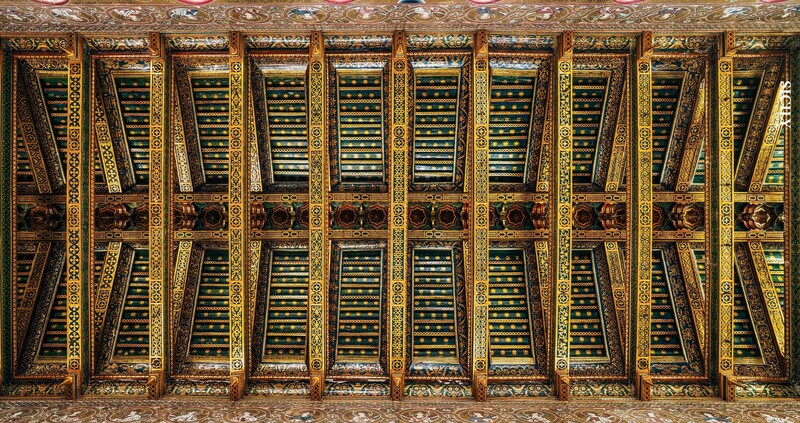 However, the best asset of Monreale Cathedral is its astonishing interior completely covered in golden mosaics, dating from the 12th and 13th centuries. The 6,500m² mosaics display scenes of saints, kings and angels, framed by golden decorative motifs. Walking through the church it is possible to discover two lines of Corinthian columns supported by a wonderful geometrical marble floor and the apse shows a massive representation of Christ Pantocrator which is considered the symbol of Norman style. Moreover the Cappella di San Benedetto, characterized by a Baroque style, holds the marble tomb of William II and priceless treasures such as sacred vestments, silverware and gold smithery. Visiting the Monreale Cathedral you can also discover another architectural jewel of Sicily: the Cloister. This alluring place is known for its 228 double columns and its richly decorated arabic arches. This amazing church is one of the most important treasure of the island and offers a unique experience to visitors, providing a deepened overview of the impressive variety of Sicilian history.